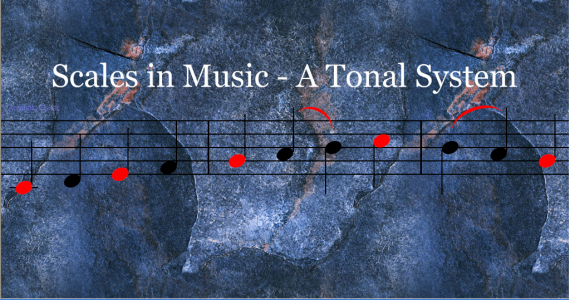 Welcome to Ties and Slurs – Part 18 – Music Theory Section – Level 1 of our overall series Scales in Music – A Tonal system. 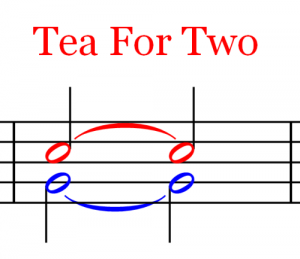 Ties and Slurs – Part 18 is our next article in the music theory section. We will be demonstrating various ties and slurs, and having fun doing it I might add, so that you are very familiar with them as well as holding a firm understanding of their differences. There are no necessary prerequisite articles required. There are two main tools a composer can use to link together two individual notes within a musical composition. In fact, these tools enable you to link together as many notes as you wish. There are some limitations to consider when doing so. The tie is one of those tools used to link notes together two notes when they are of the same pitch. They are joined much like the links of a chain, if you will. Each link is part of the chain and in that way a part of one thing, the whole chain. 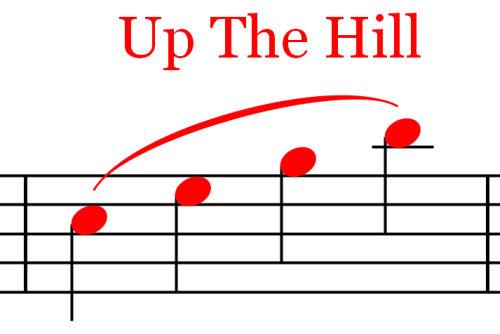 The Following chart shows the symbol for this music notation tool. The Symbol – The shape of the tie is simply an arc where the middle is thicker than either end. Function – It is used to link together two notes of equal frequency value or the same pitch such as the C-note in the example above. A tie can be used for them regardless of the notes duration as designated by its symbol, i.e. quarter note, eighth note, half note, etc. The tie causes the first note to extend its duration for the same additional duration as the note it is tied to. So in this first chart, the first quarter note is tied to the second. Each quarter note gets one beat in 4/4 time. When tied to another quarter note, the first c-note is sounded and held for a total of two beats, one for each quarter note. The second quarter note is not sounded individually rather it is an extension of the first quarter note. In essence the note is held for the duration equal to that of a half note, in this instance. 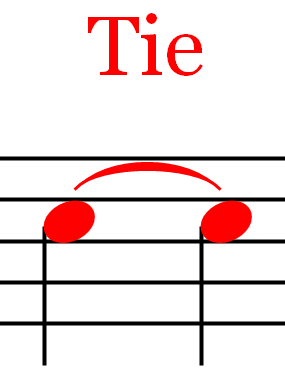 Secondly, the first quarter note is stressed or it has the highest level of intensity. The second quarter note is not plucked, strummed, or activated by any means regardless of the instrument being used where it sounds as a separate note. The second note is tied to and therefore acts like an extension of the first note. Under a musical tie, the first note is simply held for the duration of both notes when they are of the same pitch. This is a very important distinction to make. Placement – Each end of the tie rests slightly above and at the mid-line of the note you are tying together as shown. It stretches across to the next note where it is again placed over the center line of the second note. 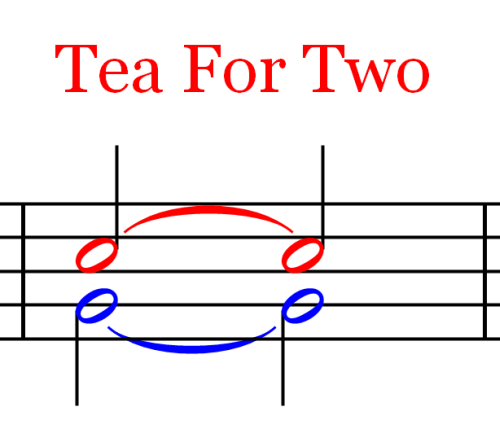 If more than two notes need to be tied together, a second tie is used to link the third note, etc. together. A single tie can only link two notes of the same value. As you can tell this is not a difficult concept so let’s have some fun with it. The foregoing are a collection of examples showing the use of the tie in various ways. I will add any additional comments especially if there is an important feature to discuss as far as the individual application is concerned. Both measures have the same duration and will sound identical. Only the first quarter note is activated in the first measure however it is held for the duration equal to the whole note shown in the second measure. Ties can extend beyond the measure line as well as above the staff. Ties can extend beyond the staff and placed under it too. Ties can extend across multiple measures. Ties are not restricted by duration values of the notes. 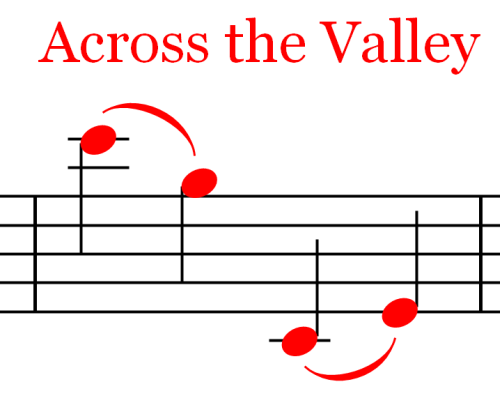 An eighth note can be tied to a sixteenth note of the same pitch, a whole note can be tied to a quarter note, a half note can be tied to a quarter note too, as shown. The restriction is they must be the same pitch. Ties can be used when more than one voice is being used. Each voice is treated as an individual line of music and played by the same instrument,therefore it needs the tie as well if that is the sound you are going after. It is not mandatory to tie the notes in either voice, it is an elective or a choice that can be made or not. One additional distinction is when notating a divisi section on a single line of music. Where two or more instruments are playing within the same family or instrument group and the instruments are the same. 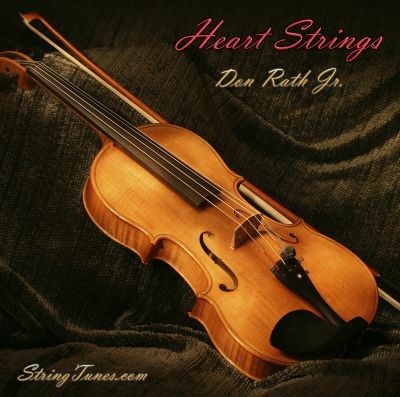 Such as four violins playing all together where two play one voice and the other two play he second voice. 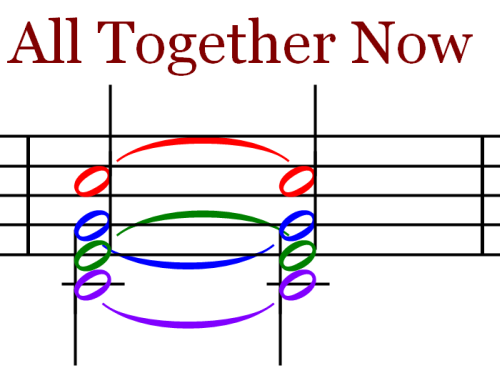 In fact no matter how many voices are used on a single staff, ties can be used hold any combination of notes together or all of them as shown in the chart above. Not every note for all instruments can be held forever even if you want it to be, unless you are using electronic sound samples. For live performers and live instruments the restriction lay either in the instrument itself or in the performer’s capabilities whether by skill or by physical ability. Each has some limitation when it comes to holding notes for extremely long periods of time. Important – Many new composers overlook the fact that wind instruments cannot be held for extremely long periods of time. The performer’s lungs can only hold so much air and once that is gone they must breathe at some point or they could literally pass out. If you are composing with the intent of using live performers, many wind instrumentalists will thank you for considering note durations for this very reason. Consider using more than one instrument if a note is to be held for long periods of time especially for the wind instruments. Also, take into consideration the instrument itself. For example, many percussion instruments do not have the ability to sustain a note for long periods of time. Consequently, the composer and/or the conductor must either add more instruments or use the instruments more strategically or in a different way. 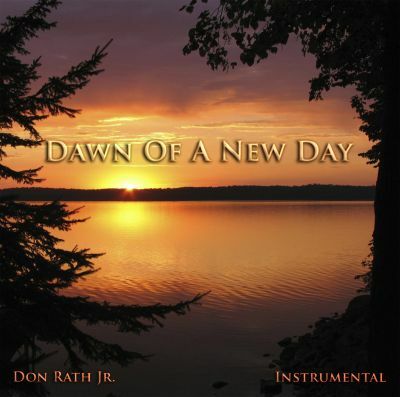 Sometimes you may want to link notes which have different frequencies or pitches. The D-note and the C-note are different notes and they are tied together using the slur. The Symbol – Although the symbol for the slur looks similar it is different than the Tie. Here’s a chart of both to make a better visual comparison of the two. Description and Placement – The slur is slanted making the arch slightly more extended. Each end of the slur is directly over the mid-line of the specific note and it does not touch either as shown. Function – The slur and the tie do not perform the same function. Each acts differently. Please refer back to the explanation about the tie as it was explained earlier. 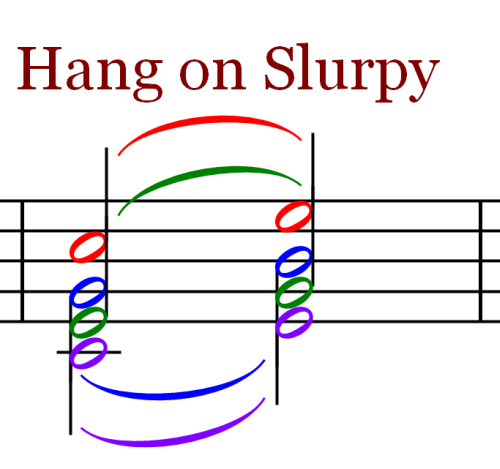 The slur is used to tie together notes which have a different pitch or frequency. In the chart above, the blue notes and the use of the slur show this concept specifically. 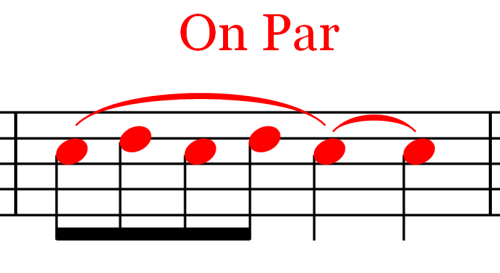 What the slur does is to instruct the performer to tie the two notes together playing each in an uninterrupted fashion from the first to the last note under the slur. In this example the performer would begin playing the D-note and gracefully move into the C-note without plucking or strumming or using any manner for causing the instrument to distinctly sound the individual notes. The notes are blended together. The emphasis is on the first note under the slur. A guitarist would think of the use of the slur as either a pull off or a hammer on application where a violinist would think of it as playing under a single bow and playing only in one direction, either an up bow or a down bow, not both. While reviewing the variations shown below take notice that a single slur extends much further than the tie. 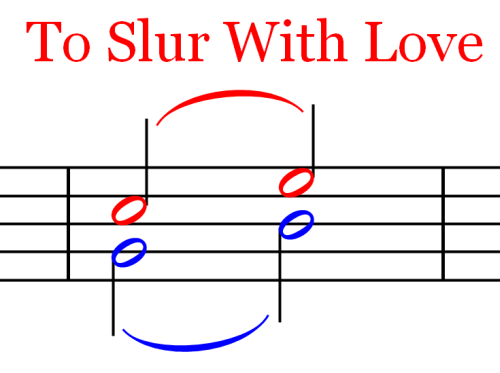 The slur can be inclusive of many notes rather than just the two notes joined together by the musical tie. There are many possible variations for the slur. This document was not meant to include them all. Below are a few examples of them. For both of the above examples, you can more clearly see the line extension made for the slur. 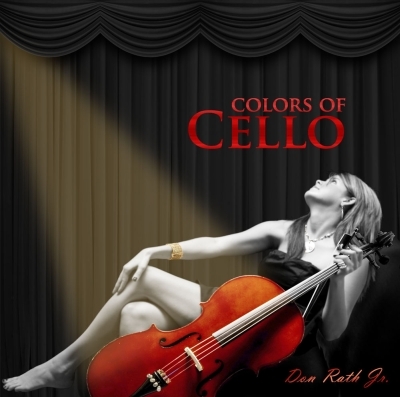 Again all notes in the series are played as smoothly as possible. Larger leaps are possible using the slur. There are some instrument based limitations so be careful when writing for various instruments and take the limitations into account. Both the slur and the tie are used in this example. Do you know which is which? 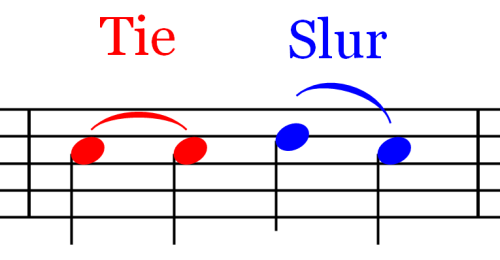 Slurs can run between the different notes used for different voices just like the tie can. The tie only joins notes of the same pitch though whereas the slur ties notes which have a different pitch. This is my personal favorite. 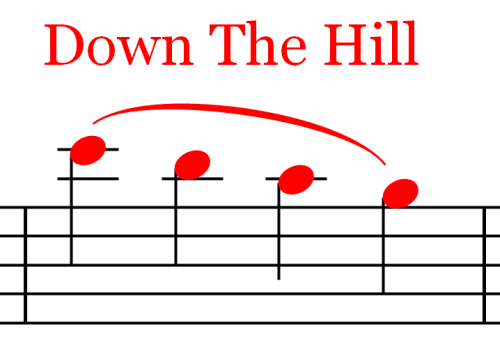 Pay special attention to the stems of the notes as this will help to explain there use as shown above. As for the slur, you can join together all or any amount of the notes when they are stacked like those in the chart above. Again, not every note for all instruments can be held forever even if you want it to be. Whether the restriction is the instrument itself or the performer’s capabilities each has some limitation when it comes to holding notes for extremely long periods of time. Important – Many new composers overlook the fact that wind instruments cannot be held for extremely long periods of time. The performer’s lungs can only hold so much air and once that is gone they must breathe or in a worst case scenario, they could pass out. If you are composing with the intent of using live performers, many wind instrumentalists will thank you for considering note durations for this very reason. Notes can be tied together using either one of the two devices used in music notation and composition. The first is the tie which links together two notes of the same pitch. The second is the slur which links together one or more notes of a different pitch. When using multiple voices on a single staff both ties and slurs can be used. There are many possible examples and we provided several showing different variations that are possible on most instruments. There are some limitations and they are tied to the performer’s skills and abilities, the type of instrument being used and the amount of breath a wind instrumentalist has in his or her lungs. These are all important considerations when using either of the ties and slurs. This concludes our presentation about ties and slurs. We hope that you have gained some insight into what they are and how to use them. We have provided various examples for you to study. Each has a unique use. Also, feel free to come by should you need a refresher about the ties and the slurs as used in music notation. This may help you and/or support your learning about them. Music Theory – Level 1 series of articles ends with our conclusion summarizing what we have leaned within the collection of articles included in the Music Theory – Level 1. series. Note: All graphics used throughout the series as well as the sound clips periodically provided were created produced using Sibelius Music Software from Avid Technologies and Wavelab from Steinberg.